So glad his happened before Lee’s inevitable demise. He deserved to see this occur. 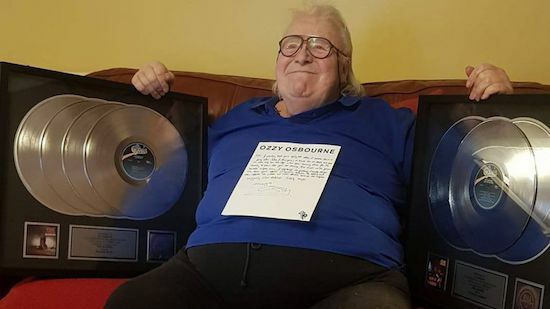 Kudos to Ozzy! Looking forward to the podcast. Really interested in hearing what Lee has to say about all of this. Another very informative interview by Eddie. I found myself a little sad during it. As we’re on the backside of the greatest period in rock history and loosing our heroes daily. Eddie handled it with the love and respect for Lee and the sensitivity hes shown throughout his career for the people and music we all love. I was glad Ozzy did what was right. Now go ask Sharon to cut a check and send it to Lee. You won’t even miss it, I’m sure. This is why the hard rock and heavy metal community is the greatest group of people on the planet. Thank you Eddie and Lee for all you’ve brought to the party.